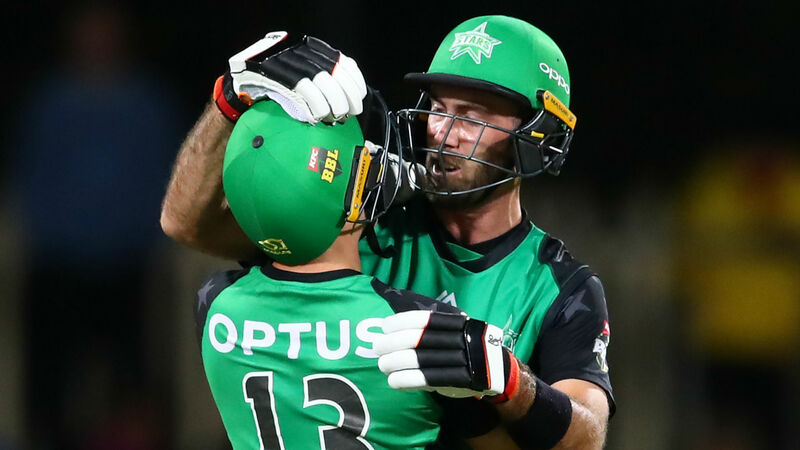 Ben McDermott's half-century gave them hope as they reached a total of 153-7, but the Australia duo of Peter Handscomb (35) and Glenn Maxwell (43 not out) ensured the chase - which saw the Hurricanes' George Bailey suffer a shoulder injury - was successful. Thank you Tasmania for all of your support this season, you really are #TasmaniasTeam . In that time spinner Qais Ahmad kept Hobart's hopes alive by removing both Marcus Stoinis and Nic Maddinson, and looked as if he could be a potential match-winner when he dismissed Handscomb lbw to leave the Stars 85-4.